Two days down, two more to go. The penultimate day at the Seamaster 2018 ITTF World Tour Swedish Open in Stockholm will focus solely on the race for the Women's Singles and Men's Singles titles with places in the respective finals up for grabs on Saturday 3rd November. Kasumi Ishikawa will take to the table in the first fixture of the day in a thrilling quarter-finals contest with Ding Ning. Seeded two positions below her opponent but China’s Ding Ning has never ended up on the losing side against the Japanese player and has beaten her on three occasions so far this year – twice on the ITTF World Tour and once again at the recent 2018 Women’s World Cup – will Kasumi Ishikawa finally put a dent in Ding Ning’s perfect head-to-head record? Showing great determination to prevail in a gruelling battle against Feng Tianwei, on Day Three Mima Ito will need to show even more character if she is to reach the last four in Stockholm. The Japanese teenager, seeded seventh, stunned Liu Shiwen on Swedish soil earlier this year at the 2018 ITTF World Team Championships in Halmstad but the second seed from China will be keen to avenge that defeat when the two meet in Stockholm. The quarter-final matches in the top half of the draw have already been played out with Zhu Yuling and Chen Meng emerging victorious. Now the two Chinese stars will battle it out for a spot in the final – both players are well-matched and with just two positions separating them in the seeding list we can expect a close contest. 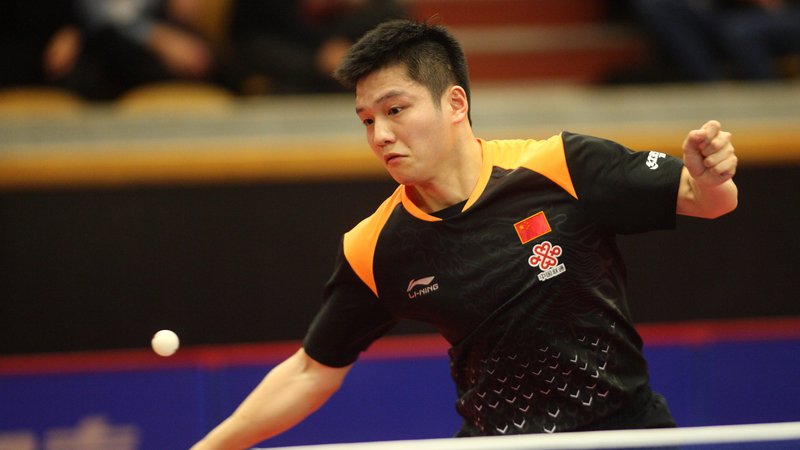 Headlining the opening Men’s Singles fixture of the day are two players from China as top seed Fan Zhendong takes on qualifier Liang Jingkun. Partners in the Men’s Doubles event but with a place in the semi-finals on the line, the duo will form and interesting rivalry for the day. Sweden is guaranteed to have one player in the penultimate round, but the question is who will that honour fall to? Mattias Falck and Kristian Karlsson, seeded 15th and 16th respectively, have performed exceptionally well in front of the home fans in Stockholm – who will hold the upper hand when the two meet face-to-face on Day Three? Dimitrij Ovtcharov and Jang Woojin face Chinese opposition in the two remaining quarter-final fixtures with Zhou Qihao and Xu Xin awaiting the German and Korean competitors in the lower half of the draw.